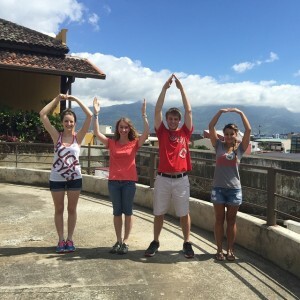 I made the mistake of posting to my personally u.osu.edu blog instead of the Study Aboard post. Here are my four posts that answer the reflection questions. That awkward moment when you are going to blog your entire trip to Paris, but you end only writing one post. For my STEP Experience, I studied abroad in Madrid, Spain this past May Session. I went with Ohio State students and faculty; we stayed in an Argentinian dormitory very close to the heart of the city. The class focused on cultural issues, particularly Madrid as a melting pot of cultures and the hardships faced by immigrants from a wide variety of regions. As I stated, our residence was an Argentinian dorm, so most of its occupants were from Argentina. Many of them spoke at least some English; however most did not. We were served lunch and dinner at the residence, usually by two non-English speaking women. They spoke so incredibly fast and oftentimes it was difficult to recognize what exactly the food was. I usually was able to get through mealtimes by pointing at what I thought looked good and hoping for the best. One time in particular however, a group of us opted for some type of fish completely wrapped in foil. When we unwrapped it, we found it was an entire fish—eyes and all. This was another unfortunate result of the language barrier. It was also difficult to communicate with the other staff at the dorm, such as the doorman. One night, I locked myself out of my room. It took a long, frustrating time to communicate this to the doorman who was eventually able to give me the spare key. Everyone was very willing to help, but it was difficult for them to offer assistance when we could not communicate what we needed. Another example of this is my confusing encounter with one of the cleaning ladies. I was in my bed, working on homework when she came in to clean the room. I tried to politely tell her she did not need to, as I was planning on staying. She apparently did not understand my request because she began to mop the floor and make the beds right around me—which led to a bit of an awkward experience. Unfortunately, however, not everyone was as friendly as the dorm staff. One night we went out to a restaurant where the waiter actually spoke English, but he was incredibly rude. He treated us as if we were a waste of time and space. He told us multiple times to hurry up, rolled his eyes when we did not pay our bill as soon as he gave us the check, and spilled our drinks on us and our food multiple times. We learned that this may have been partially due to the fact that it is not commonplace to tip waiters, so customer service is not an aspect of Spanish culture the same way it is in America. However, some Spanish people just do not like foreigners—particularly Americans. After reflecting back on these experiences, I realized how much they parallel the treatment of foreigners in America. I never realized how difficult simple, everyday tasks can be when you do not understand the native language. I was left with a much greater appreciation for immigrants and foreign visitors. I know that in the future I will treat them with much more patience and compassion. Additionally, I realized how hurtful it can be to be discriminated against and treated so poorly simply because I was foreign. I know I will seek to treat everyone fairly and stand up to those who are not doing the same. I have taken some Spanish in school, but being in Madrid has really inspired me to continuing my studies in the Spanish language. I hope to one day become an orthodontist, and I think being able to speak Spanish to my Spanish patients would make them feel much more comfortable and welcome in this great country. For my STEP experience, I traveled abroad to England. The course I took was a 3 credit hour May semester class at Ohio State. The course was titled The British Invasion: The Impact of British Popular Music in the 1960s. We spent 2 weeks touring London and Liverpool. This experience was extremely transformative to me. To be able to see first-hand the effects that music can have on other cultures was an amazing opportunity that I am very thankful for. I gained transformative perspectives and learned lots of new things through this course. This travel abroad experience changed the way I see the world. The primary objective of my project was to experience something I would ordinarily not be able to participate in. I, for the first time in my life, traveled to another country and was able to witness another culture first-hand. I have never traveled outside of the United States and without STEP, this opportunity would not have been possible for me. This STEP experience broadened my view. I think of myself as more open-minded after experiencing another culture. I don’t judge people as harshly for being different now. I feel as though I have a deeper understanding of humans and their differences. That is what makes life so interesting! Along with the amazing experience of traveling abroad, another primary objective of my project was to pursue a personal passion. I plan on minoring in music, so this course was extremely beneficial to me. Not only did I gain credits towards my minor, but I also furthered my experience in this area of study. The course, Music 3350, counts as a Visual and Performing Arts GE as well an Education Abroad GE. I got first-hand learning in a place rich in musical culture and art, all while gaining much-needed credits for graduation. This class solidified and intensified my love for music. I am even more passionate about music now after this experience. I have started to teach myself how to play guitar, as well as become more involved with various choirs and singing. I credit this opportunity with helping to develop my passion for music. Another part of this experience that I will take away with me are the friendships I made during the trip. I became very close to a few other girls on the trip, and we still stay in contact to this day. We had a lot of fun on the trip and bonded a lot, especially experiencing another country together. I value our friendship very much and I believe we will continue to be friends into the future. These changes I experienced during my STEP project are very important as I move forward with my college life and beyond. My personal goal of traveling to another country has been met. I am thankful for that opportunity. My academic goals were also met through this course. I gained credits toward my major, as well as networking within the school of music. My future plans include traveling to more places to hopefully broaden my scope of the world a little bit more each time. I now know how important it is to pursue a personal passion. In order to discover yourself, you cannot be afraid to challenge what you are used to or are comfortable with. You have to experience the world! 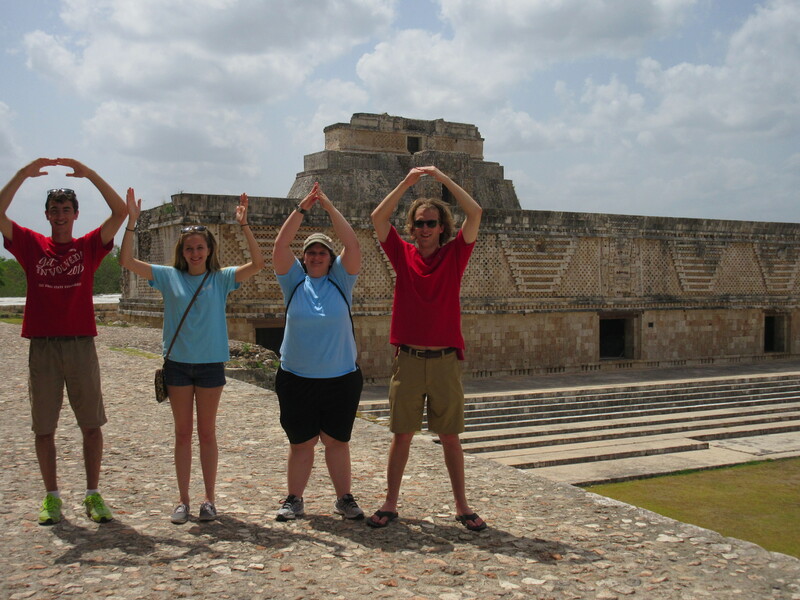 My STEP experience was a two and a half week study-abroad trip in the Yucatán Peninsula. The course-work explored the globalization of the area with a focus on the Mayan civilization. Students traveled to Mérida, Mexico and stayed with host-families while attending lectures at the Universidad Marista de Mérida. We studied the history, culture and natural environment of the Yucatán by attending lectures from local professors, by visiting local museums and cultural sites, and by traveling across the peninsula to visit Campeche, the Cancún tourist center, and the many Mayan ruins along the way. While completing my STEP Signature Project, my understanding of myself and assumptions about the world-specifically Mexico- changed quite a bit. In terms of personal change, I learned that I can learn outside of the classroom, and that real-life experiences and cultural immersion are great ways to understand the culture and practices of a different country. I learned that I can safely survive in a different country for two and a half weeks with the right preparations, and that I can adapt to living with completely new people in a completely different environment. I learned that I am independent enough to put myself in new situations without the direct comfort or guidance of my parents or family. My perspective of Mexico also changed dramatically by actually being there and by being submerged in the culture. Before going there, I had ignorantly assumed that most areas in Mexico were dangerous and that the living situations for most people would be poor, such as small houses and maybe not the best utilities. I was pleasantly surprised that, at least in the neighborhood that our student group stayed in, I felt very safe and comfortable. The houses on our street and that we students lived in were also surprisingly nice: they were fairly spacious, and I personally had my own room. My host family had their own pool in the back, and even though it was small, it was a welcome addition to the living experience. The tap water was different, but it was still enough to shower with; we were advised not to drink the water, but our host families had filtered water coolers for us to use, so that wasn’t a problem. Something that I hadn’t anticipated was the speed at which the natives spoke Spanish, and the fact that most of the members in our host families didn’t speak any English. This was initially disconcerting for me, especially since I hadn’t taken or used any Spanish for at least a year, but after a few days I remembered a lot of the nouns and verbs that I needed to. If all else failed, there were two girls in our group that were proficient in Spanish, so they helped out a lot. Another assumption was about the currency and prices in Mexico; I expected things to be priced similarly to how they are in the U.S. Because of this, I packed a lot of larger pesos, but I quickly found that food is actually really cheap down there, so I had to break a lot of the bigger bills and accumulate smaller pesos and even the coins to pay for things easier. Living with a host family that didn’t speak any English is the reason for the majority of the above changes in my perspectives and assumptions. For the most part, it was only our host mother, another girl from Ohio State, and myself. Her family came over once to celebrate Mother’s Day, and her daughter was there some nights, but I had the most day-to-day interactions with Mari Lu, our host mother. Even though she didn’t speak English, we both did our best to communicate with and understand each other, even if I had to use Google translate and make a lot of hand gestures. I gained independence by having to get myself from one place to another before, during, and after the trip and taking care of myself without direct parental guidance. At the three airports we went through, I had to keep track of my belongings and make sure I was at the right place at the right time. During the length of the trip I also had to keep track of my purchases to make sure that I was staying within my fixed budget. I also gained confidence in my ability to be self-sufficient and interact with strangers. I learned a lot about the Mexican culture both from our lectures and from living with a host family. I learned how and what they cook and that they naturally speak very fast. Even though we were strangers from a different country and generally didn’t speak the same language, all of the host families were incredibly kind and acted as if we fit right in with them. They had likely had study abroad students live with them before, but I appreciated it none the less. All of the host parents seemed to know each other and collectively did an excellent job caring for us. The neighborhood also seemed safe and we students as a group were able to wander around without any issue. I also learned that they celebrate holidays like Mother’s Day just as we do in the U.S. My host mother’s entire family came over for the day, ate together, and celebrated all of the mothers. We had been given the day off, so we were able to be part of the celebration and show our respects. By living there for two and a half weeks, I was also able to get a better grasp of Mexico’s economy. Most things were significantly cheaper there, but still had comparable quality. Restaurants served reasonably portioned food at great prices, and drinks and snacks were a bargain. 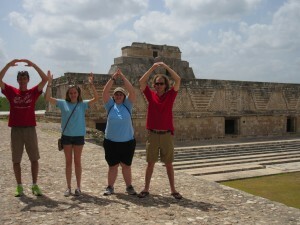 As the main focus of this study abroad trip was about the Mayans, we went on several trips to see their ruins. It was absolutely amazing to see first-hand the magnificent architecture and be able to walk around in the same land that the Mayans once claimed. 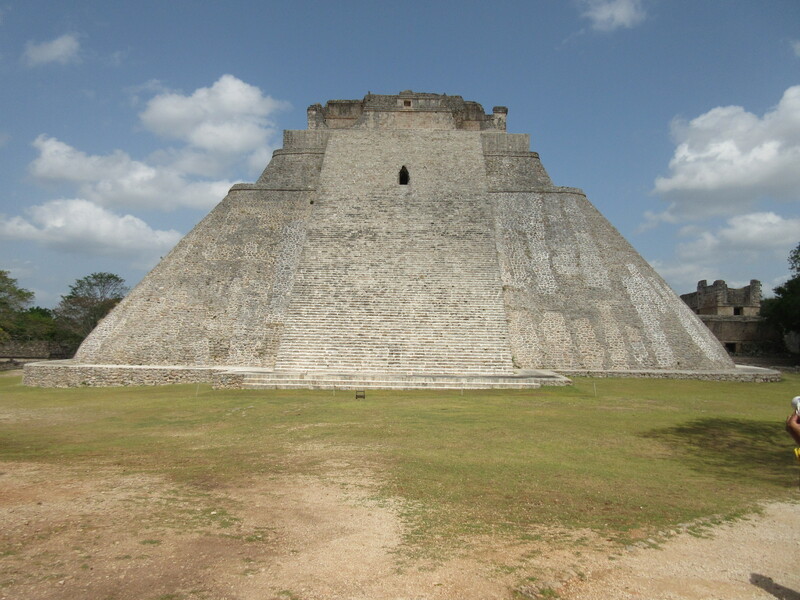 I was able to get a real perspective of how widely they spanned the Yucatan and how big their buildings were. Pictures and books alone would never compare to physically experiencing such as amazing culture. These changes were important for me because I likely would never have gotten the opportunity to visit Mexico otherwise, and I would have no idea what I was missing. The personal experiences were invaluable to me and allowed me to learn about myself in a brand new light. I was able to utilize my knowledge of Spanish with native speakers and see for myself how much faster they pronounce things. I would never have learned as much as I did by taking a similar Mayan or Mexican culture class at school. Cultural immersion made all the difference in my interest and investment in the class and my understanding of Mexico and the Mayans. During the Multicultural Histories and Legacies of London and Paris experience I was able to do a lot of things that I would not have been able to do otherwise. We did a lot in such a short amount of time, and I am glad that we had so much scheduled to do. During our time in London, we saw many of the most popular parts of the city, including Parliament, Big Ben, and the Tower of London. 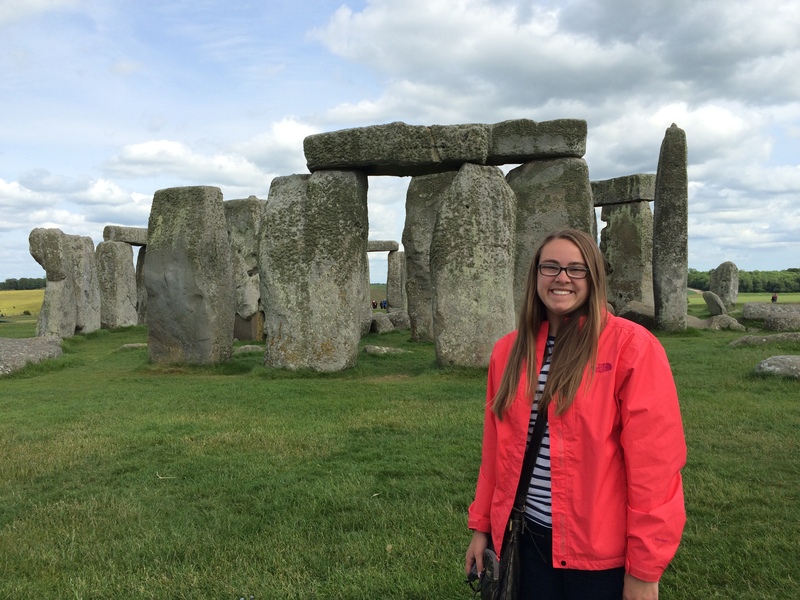 We were also able to travel outside of the city and into the country to see the Dover Castle, Stonehenge, and Bath. In Paris, we also saw the most popular areas, like the Eiffel Tower and the Arc de Triomphe. Again, we traveled outside of Paris to some of the chateaux in France. These were really nice to see and learn about, especially Chambord which was barely used as a residence. It is crazy to me that such a beautiful castle would be built and then used for only a few days. During my free day in London I went to Cambridge and visited the University of Cambridge. I was able to see the very beautiful architecture that makes up the university. I learned a lot about the history of the city and the university from a tour guide on a boat tour that I took while there. My free day in Paris involved going back and spending some more time in some of the places we visited earlier in the week like the Notre Dame Cathedral. I also went across the street from the cathedral to the Shakespeare bookstore, which was a fun coincidence since we had just been to Shakespeare’s Globe Theatre only a week prior. After spending some more time at the cathedral and the bookstore, I went to the Arc de Triomphe. One thing that really stuck out to me during our trip was our time at the League of British Muslims. I learned a lot about what it is like to live as a Muslim in the United Kingdom. I am glad that I got to hear these Muslim community leaders speak about their experiences and I hope to have more discussions like that with other groups and I also hope to be able to share my experiences with others. The leader of the League of British Muslims said “it’s a problem with us, not a problem with the Faith,” and this is a message that I hope I can help to spread to the people I know. People immediately associated terrible acts with a religion, instead of with the terrible person who committed those acts. Hopefully in my lifetime, I will be able to convince people to learn more about other cultures before they pass judgement on them. Another part of our experience that I thought was really important was the immigration tour in Paris. We saw a lot of things that were really eye opening to me, such as the camp of refugees under the bridge. Something that really bothers me about immigration not only in France, but in the rest of the world as well, is how we treat immigrants. First, we saw hundreds of immigrants living in tents under a bridge because they simply had nowhere else to go. We also saw the border within the train station. There was a guarded electric fence keeping people out of the country. I do not understand how we can treat immigrants so poorly when all they want is to come to our country to find a better life for themselves and their families. Instead of welcoming immigrants with food, water, and the support they need and deserve, we welcome them with electric fences and guns. In conclusion, I hope that I can use what I learned from this experience to enhance my own personal goals, both in my education and in my life. I think I will become more involved in making sure people understand different cultures. I also think I want to learn more about immigration in our country and in different parts of the world. 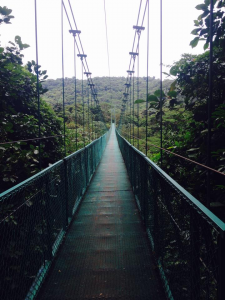 This summer, I traveled to Heredia, Costa Rica, on a 35 day study abroad trip. I lived in a homestay with an older woman, her grandchildren, and another one of the twenty-five students in the program. I took two Spanish classes at the Universidad Latina Heredia, which was about ten minutes on foot from the house. We had class for four and a half hours every afternoon, Monday through Thursday. These classes gave me credit for two Spanish courses required for my Spanish minor at OSU: 3401 Advanced Grammar and 3403 Intermediate Spanish Composition. For two of the four weekends, the program had planned excursions for us to a beach, la Playa Tamarindo, and a volcano, el Volcán Arenal. The other two weekends, we planned our own trips to a rainforest, Monteverde, and a different beach, Manuel Antonio. I also explored the historical city of Heredia and the nearby national capital, San Jose. Though it seems obvious, I did learn a massive amount of Spanish while I was in Costa Rica. The first week, I was somewhat slow and uncertain in my speech, but by the end, I was thinking in Spanish and speaking with much more fluidity. I wrote in my journal and skyped with people in Ohio regularly; I would often slip out of English and into Spanish during those activities. I also became very familiar with the culture of Costa Rica, including the food, slang, music, transportation, and more. Between walking, and taking buses, trains, and taxis, I became pretty good at navigating on my own. Though I am not religious, I attended Catholic masses with my host family, so I learned about their beliefs. One of the best aspects of my experience was making so many new friends, both locals and fellow travelers. In the former group were my Costa Rican instructors, advisors, host family, and other students at the university. I also became particularly close with many of my American classmates. 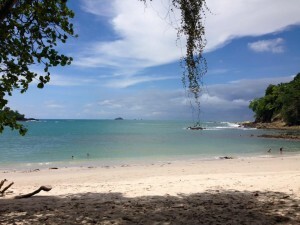 During the last weekend of the trip, ten of us took an extremely spontaneous trip to Manuel Antonio, which is a national park known for its wildlife on the Pacific coast. It was a fantastic adventure in that we didn’t have any details about the destination or any plan whatsoever beyond catching the bus out of San Jose. Somehow nothing went wrong; we made it to the bus station in plenty of time, despite insane traffic, and found a decent hostel when we arrived. The next day, we took a guided tour of the animal-filled rainforest, then spent hours on a gorgeous secluded beach before returning to Heredia with ease. I loved the sense of self-sufficiency and impulsivity it gave me, as well as the wonderful company and gorgeous setting. This experience had a tremendous impact on me personally. The independence that I took on in Costa Rica has carried over into my life in the US. The philosophy of “pura vida” has stuck with me too. 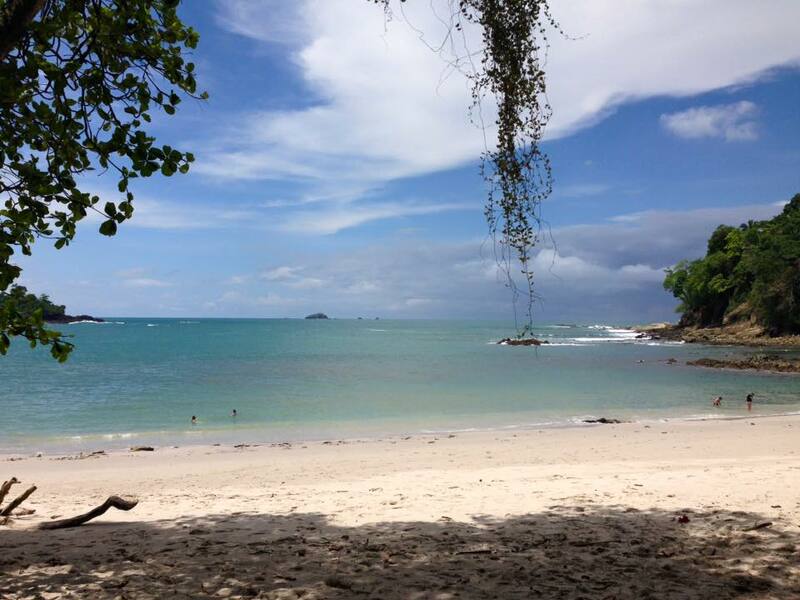 Costa Ricans use the phrase in many capacities, but it is essentially a reminder to live the “pure life,” to relax and appreciate all that life has to offer. At home now, I find myself thinking in that manner. I want to take advantage of everything I can, while not stressing about small things. I’ve learned to be more spontaneous – I don’t need to obsessively plan every detail; I can trust that things will work out. I’ve also gotten better at meeting new people and making new friends. Since I returned to the US, I have started listening to Spanish music much more often and attempting to cook Latin American food. My experience in Costa Rica reaffirmed my love of Spanish. I’m now more committed than ever to becoming a bilingual speech pathologist. I also desperately want to travel more! My experience in Costa Rica is now acting as a catalyst for another opportunity, in which I will able to travel to Puerto Rico in order to do research for an honors thesis on language development in Spanish-speaking children. Not only would this opportunity not have presented itself without my having had experience abroad in the Spanish-speaking world, I may not even have wanted to pursue such an opportunity if I hadn’t been successful in spending time abroad before. I just got back from one of the best experiences of my life, a study abroad trip to London and Paris. I, and twenty-five other students went around both cities learning about the history and culture around us. Apart from going to many of the tourist hot spots like the London Eye and the Eiffel Tower, we walked around the city with a tour guide each day who told us what we were looking at and the importance of it. In London we saw Buckingham Palace and the Globe Theatre, but we also went to areas like Brixton and Brick Lane, which have significant cultural differences from the rest of London. We even traveled to Dover castle and Stonehenge and saw some of the rural side of England. Paris was very similar to London in terms of what we did. Of course we toured the catacombs and the Louvre, but we looked at the Rue de la Goutte d’Or, which is home to many North African and sub-Saharan residents. We traveled to the city of Versailles to see the Palace and to numerous castles around the city to look at the rural life and also the legacies of the royalty from the era. Our free days in each city were spent going to museums we did not have time to see, looking at all of the artwork and sculptures we would only see in books. It was amazing going on this study abroad trip. I had never been out of the country so I did not have any actual experience to base my expectations off of. The feel of London was extremely similar to that of New York City. The language is basically the same as here in the States so there was really no culture shock. I really loved the city and while the design of the streets was infuriating sometimes, it still gave it the feel like you were back hundreds of years ago before the Great Fire. It was also really great to see all of the architecture in London. Some of the Cathedrals and city buildings are hundreds of years old, which is such a change from the States where nothing seems to be older than a hundred years old. It was really interesting to see Brick Lane and Brixton and compare them to the impoverished areas around Columbus. While in Brixton a few locals came up to the group and seemed to take offense to us being there. We discussed the possibility of this happening but being over there I felt bad that they thought we were just there to gawk at them and look down on them. Doing service in London was a great experience and my only complaints are that I wish we would have had more time to spend with the people we were serving and I wish it had been longer. We were only there for a few hours and I am not sure that is enough to make much of a difference. My main regret about the entire experience is that I did not spend enough time talking with the locals. I feel like I missed out on a lot of the experience by not speaking with them and learning about the city through their eyes. Paris was quite a bit different in terms of the culture. Most people I encountered did not speak English that well, the city seemed dirty, and it seemed like everyone was in a hurry. Within the first hour there, a group of us were almost run over multiple times. The city was much prettier than London but I think I liked the feel of London just a bit more, perhaps because it felt so similar to home. Overall, I think I behaved in line with most other locals so as not to stand out and I don’t think I offended anyone while abroad. I think if anything would have happened, I would be able to explain my side and make amends. I learned from my Buck-I-Serv trip to New York that service could help me expand my network of friends. As a business major, most of my friends and the people I hang out with on a daily basis are business majors. I was one of two business majors on my service trip of twenty. There were engineering majors, English majors, and even human sexuality majors. I would probably never have met any of these people had it not been for that trip. I became very good friends with many of them and we still hang out to this day. Service brings all groups together. No service group attracts one major more than another so it is a great way to meet people you wouldn’t ordinarily meet. The same thing happened with this study abroad trip. Out of the twenty-six students in the class, only myself and another student are accounting majors and only a couple more are business majors. I love getting to meet everyone that has a completely different passion and skill-set than me. I think it really helps me grow as a person and as a thinker. I don’t typically approach problem solving the same way an art student does because our brains work in very different ways but this allows me to learn from those that are different. My STEP Project was a study abroad experience where I traveled with 23 other Ohio State students to Brazil for the Brazil Global May program. Our program was focused on studying the history and culture of Brazil. We traveled to various parts of Brazil including Sao Paulo, Salvador and Sao Jose de Rio Preto. I had never been out of the United States before this trip. I knew that countries around the world were much different than the United States, but I had no idea has vast the differences would be. I also realized that Brazil and the US are very similar to one another. This trip gave me a new perspective on the similarities and differences that countries around the world face. This redefined understanding of worldliness was the biggest transformation that I saw take place during my experience. Brazil in many ways is similar to the United States. The major cities have some very nice areas and some not so nice areas. Public transportation is very important for how the city operates. In Brazil, busses are the most common mode of transportation while subway systems are superior in the major US cities. Brazil is still in the developing stages and the infrastructures for subway systems are being built in some of the major cities (Salvador) but for others (Sao Paulo) the city already has a solid system set up. Another similarity between the two countries is the passion they have for their sport teams, especially for the city that they are from. Observing Brazilians watch a soccer game on tv reminds me of how American college students look on fall Saturday afternoons watching their football teams. Another major similarity that I noticed between the US and Brazil is the love for music that the people of both countries have. I also witnessed how music unites people. Capoeira is a very popular Brazilian dance, but it is so much more than just a dance. It involves instruments, singing, clapping, and dancing. Even if you did not directly participate in the capoeira dance, you were still able to participate in the activity of capoeira. You could play an instrument or just join in the singing of the traditional songs that were sung during the dance. The vibe that capoeira gives off is something that I will never forget. I also witnessed how song and music united our group on the trip. Numerous times, you could have found some members of our group singing various hit songs from the United States. This was a commonality that existed for our group and created a similar sense of community that was created by capoeira. Brazil and the United States face many of the same issues. For example, both countries struggle with the relationship between the police force and the general public. Police systems are put into place to keep the peace of a nation and to protect its citizens from harm. However, many people in today’s society feel threatened by the police force and do not believe that they provide security. These beliefs are with good reason, as in the United States, officers have been opening fire on seemingly innocent children based on the color of their skin. While in Brazil, I didn’t feel as much hostility between the people and the police as I currently do in the United States. I believe one of the reasons for this is that Brazilian police forces are trying to change the way people view the police. They are trying to benefit their people in more ways than providing safety for the people. The police are providing outreach programs to its citizens where the citizens can come to the police station and learn skills to better themselves. The outreach program that I speak of is operated from the heart of a favela. Favelas are some of the most dangerous areas in Brazil and the police are trying to make a positive change in the community. I could only wish that United States police could start making the news for headlines of helping the community, rather than provoking riots in the community. Brazil and the United States both have a large African population that is rooted from slavery. The European explorers who founded each of our countries took advantage of the African Slave trade that provided cheap labor for the newly developing countries. Before this trip, I knew that Brazil had a significant African influence but it wasn’t until we arrived in Salvador that I realized the extent of the influence from Africa. 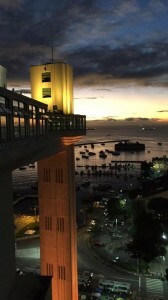 The history and culture of the people of Salvador’s ancestors were preserved and still practiced in everyday life. People of African descent struggled to gain rights after the end of slavery in their respective countries. The struggle still exists in both countries and it is a constant battle to become completely “equal” with the rest of society. However, the situation is much worse in Brazil as the country seems to be years behind the United States in many aspects including equal rights for all citizens. In the United States, we struggled for years after slavery was abolished and it wasn’t until the Civil Rights Movement in the 1960s that changes started to make an impact. Even in today’s society, we are still seeing firsts for black people. We had the first black President in 2008 when we elected Barack Obama. Tony Dungee was the first black NFL coach to win a Super Bowl in 2007. However, the struggles that Brazil face are so far behind the United States. Blacks represent about 50% of the population in Brazil and they still struggle to gain representation in the government system. When we visited the Steve Biko Institute (a program to help black students prepare for college placement tests) the students there felt that the United States had “made it” because we have a black President. The idea of this occurring in Brazil is such a far-fetched idea that it is almost laughable to them. However, the African-American students from Ohio State and the rest of our group agreed that racism and unequal rights still exist in the United States. It just gave me a new perspective that even though the United States struggles with racism and unequal rights for blacks and other minorities, we are so much better off than other countries who are still in the developing phases. One of the biggest differences that I noticed about Brazil in comparison to the United States is the importance of family. In Brazil, it is very common to live in the same building as your parents or at least in the same town, when you are old enough to have your own place. In the United States, it is not typical to live in the same house/apartment building as your parents when you move out. Normally, this is frowned upon because it seems like you are never growing up. However it is the total opposite in Brazil. For example, I had two host “brothers” that lived in the same apartment as their mother and they were both older than 25. In fact, one of them recently got married and he and his wife are moving in upstairs. I enjoy this aspect of Brazilian culture because family is very important to me. Another difference that is very apparent is the difference in the cuisine. The Brazilian diet consists of much more fruit and “suco” (juice) than the American diet. There have been plenty of foods that I have been missing from back home because they are just not a part of the Brazilian diet. I have had an entire year’s amount of rice and beans in the month that I have been here. Also, there is no such thing as free water here. In the US I tend to drink water at every meal and do not pay anything for it and I can get unlimited refills, while on the other hand, I have to pay for water in Brazil and it is not unlimited. Another major difference that I saw between Brazil and the United States is the difference in college education. In Brazil, the public universities are the tougher universities to get admitted to and provide a better education. In the US, the private universities are typically more prestigious and harder to get into. In Brazil, a college education is free. In the United States this is not the case and it tends to cause people to go into massive debt or they choose to attend a worse school academically to save money. I believe that the US would be better off if they provided a free college education to students because it would allow students to attend the best universities that they get into, rather than attending less prestigious academic schools. A very obvious difference between Brazil and the United States is the language. In Brazil they speak Portuguese, which I was told is similar to Spanish, but I quickly found out that that statement is slightly faulty. It was definitely a culture shock on day 1 when I struggled to get food at the rest stop. I quickly realized that this next month was going to be a roller coaster when it came to communication. I can confidently say that I am able to effectively function in Brazil but I am years away from being able to have full on conversations with people. When I was at a loss for words, I would use a lot a movements, motions and sounds to get my point across. I will probably continue to use more movements in my communication ability when I return to the United States. I feel like our group represented Americans in a positive light on this trip because whenever we struggled to communicate our go-to words consisted of thank you (obrigado(a)), sorry (desculpe), and no thank you (nao obrigado(a)). I’m not sure if everyone is that polite when they are back in the United States but I am going to assume that it is true. At first when communicating with my host family, I would use google translate on my phone to help move the conversation along. As the days passed by, I tried to use its assistance less and less and I felt that I was becoming a better communicator with my mother (who spoke no English). I am not able to describe exactly how this experience will impact my future career but it has made me reconsider the rest of my academic career. I was able to survive the month in Brazil without any prior knowledge of the language, but I was not able to thrive in Brazil. I have intentions to work for a multinational company and want to travel to other countries for work. I have gained an appreciation for knowing the language of the country you are visiting. 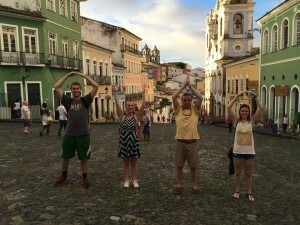 People who took Portuguese classes at Ohio State before we went to Brazil, definitely had an upper hand when it came to communication and I feel that the people who had prior knowledge of the language were able to enjoy the experience on an even greater level. I feel this way because they were able to practice their skills while those who had no experience were trying to pick up on enough knowledge to get by. This trip has made me want to take language classes again (most likely Spanish) so that I will be able to travel to certain countries and communicate with the people who live there. I believe that I have learned a lot about myself from this trip and I feel that I have grown as a person. One of the major things that I learned about myself is that I believe I have a large amount of patience and I believe that my patience tolerance is much higher than others. Throughout a month long journey where you see the same 24 other people all day, every day, you see them at their highs and at their lows. Towards the end of the trip, I witnessed and listened to my fellow trip members voicing their frustration towards other members of the trip. They started to pick up on the flaws of others and not enjoy the company of certain people. I felt that I was one of the few people who was able to keep a level head about the whole situation and not get annoyed with others. This patience also helped me out for all the times when the Brazilian nature for travel kicked in. Brazilians are very relaxed and not hurried when it comes to travel. There were many times on our trip when we were late for meeting times, our plans changed or our plans got completely cancelled. Especially on the first day of our journey, when our flight got cancelled and we missed our connecting flight to Sao Paulo. Being a day late to Brazil seemed to frustrate a lot of my peers but I learned that I have an enormous amount of patience and understanding for difficult situations. Having patience and understanding allowed me to keep my cool during all of these subtle changes. I see this skill translating to the rest of my academic experience and to the rest of my life because I will be able to play to a strength of mine (patience) when faced with difficult situations. Overall, this experience has been incredible and it has shown me that the world has much more to offer than what is in the United States. Living in another country for an entire month, I was able to truly appreciate many of the aspects of Brazilian culture that were different from the United States and also appreciate the aspects of US culture that Brazil lacks. I am thankful for the opportunity to travel to a country that is drastically different than the United States because it opened my eyes to differences in ideals, culture, and ways of living. I feel that I am able to better appreciate differences amongst people rather than write them off, from my time in Brazil. My first experience abroad has only made me hungrier to continue traveling abroad in the future and to experience all that the world has to offer. Over the summer, I spent two and a half weeks in Japan learning about public health with a focus on Japanese issues. I attended lectures for the first week at the University of Tokyo and the second week I traveled across Japan learning about public health issues at the places that they occurred. This was a really cool experience because this was the first time I traveled outside of North America. It was also an amazing experience because I was able to learn more about my heritage as a 4th generation Japanese American (Yonsei). After learning about three of the four big pollution diseases of Japan and seeing their effects on people firsthand, the importance of protecting the environment and people as a chemical engineer has become more important to me. I also was completely surprised at how different the culture was. As someone who only grew up with limited exposure to Japanese culture through my family and the Japanese American Citizens League, I knew that what I knew about Japanese culture was very limited. I learned a lot about the culture, both the good and the bad. For example, I learned about how much working hard is valued in Japan which leads to workers working much longer than those in the U.S. On the other hand, the culture stresses working hard so much that there is a term “Karoshi” which means death by overwork due to stress from work. Another life changing experience was learning more about the atomic bombing of Hiroshima and visiting the peace memorial. In high school history classes, all I ever learned about the atomic bombing was the numbers of casualties and how it helped end the war. At Hiroshima, I not only learned about the facts of the atomic bombing, I also learned about stories of the victims. After visiting Hiroshima, my view on weapons and war in general has been changed to side more with the people against war in general and especially against nuclear arms. The Hiroshima Peace Memorial Museum made me empathize with the victims after seeing the horrible effects of the Atomic bomb both during the bombing and the years after. The museum itself was haunting and the exhibits were paired with an audio tour which made the experience as a whole more visceral. Any photos of the exhibits and the museum would not be able to give full justice to the feeling of being at the exhibit or Hiroshima. Another disaster we learned about was the 2011 Tohoku Earthquake. I remember hearing about the earthquake and tsunami in 2011 and how I thought it was a terrible event, but after a few months, I stopped hearing about the recovery efforts except for around the Fukushima Nuclear Power Plant and the event was almost forgotten in my mind. Beforehand, we did research on the disaster. Even though I had some background info, I still didn’t realize the sheer amount of work that still needed to be done. After seeing the picture of what the city used to be and then the leveled off ground and even the part of a shower from someone’s former home, I completely changed my view of the disaster as just “another news event” to the tragedy it actually was. Videos and news articles aren’t nearly enough to understand the sheer force of the tsunami and the destruction it caused. I was caught off guard by how high the tsunami had reached and seeing it in person was a whole new aspect than just hearing how high the tsunami was as a number. On a lighter note, Miyajima, an island near Hiroshima was the most scenic part of my trip. The island view was amazing and the Itsukushima Shrine and the torii was a really cool part of the island. I thought that my favorite parts of the trip would be in Tokyo or other large and busy cities but the trip to Miyajima was definitely one of my favorites. One of the cool parts about the island was the fact that there were deer everywhere and would walk up to people. Although the main focus of the trip was on public health, I was able to learn a little bit about Japanese culture through attending events like the Sanja Matsuri in Tokyo and a festival at Tokyo University. I also got to see historical places like Toyama castle. Another part of Japanese culture I got to experience was traveling to an onsen (hot spring) and staying at a ryokan (traditional Japanese inn) in Hakone which was another really scenic and mountainous area of Japan. Due to this STEP experience, I definitely want to travel abroad more now that I was finally able to leave North America for the first time. One regret I had is that I wasn’t able to visit places like Kyoto and I definitely am planning to travel back to Japan sometime to visit many of the places I missed. I am also now interested in traveling to other places around the world due to this experience like Hong Kong where my mother grew up or places in Europe like Geneva Switzerland which I am thinking about going to this upcoming summer. As for career impacts, this experience has made me place a higher importance on environmental safety of industries after seeing what carelessness of pollution can do to people. Especially after hearing about victims of diseases like the itai-itai disease (cadmium poisoning) due to the carelessness of mining companies polluting the river, I am better able to realize that the work I do in the future as a chemical engineer might have a real impact on those living around a large industrial building. Without this experience, I would have still been environmentally conscious, but because of this trip, even more than before, I want to make sure that any decisions I make in the future for an industry has the impact to the environment taken into account. 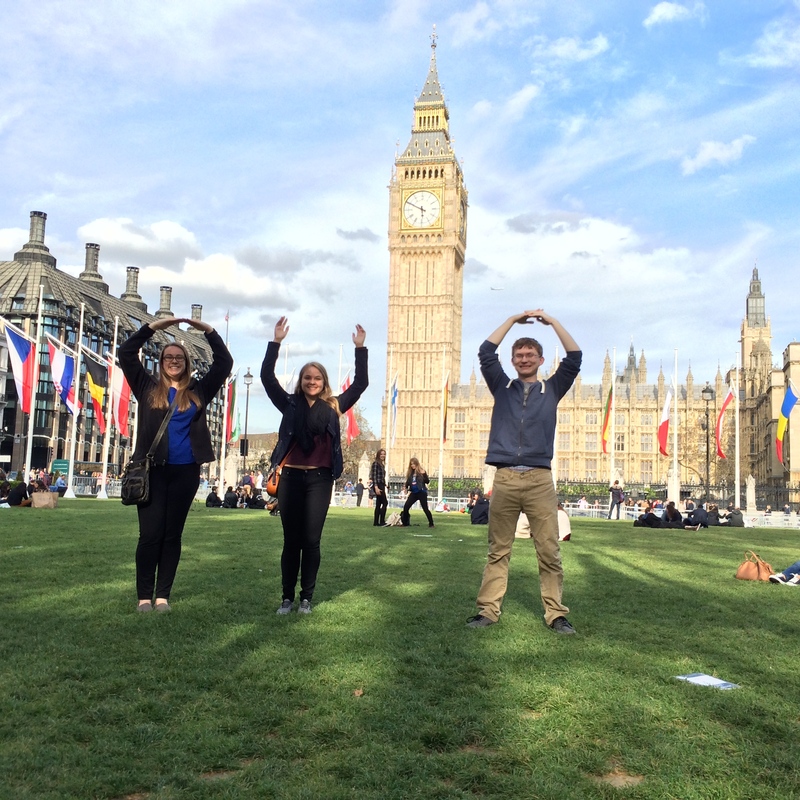 I spent the month of May in London, England with 39 Ohio State students and two professors. Throughout the course of our stay, I took an in depth look at the culture, politics, and culture of Great Britain. Daily class meetings combined with afternoon and weekend excursions allowed me to come to a better understanding of what it means to be British. 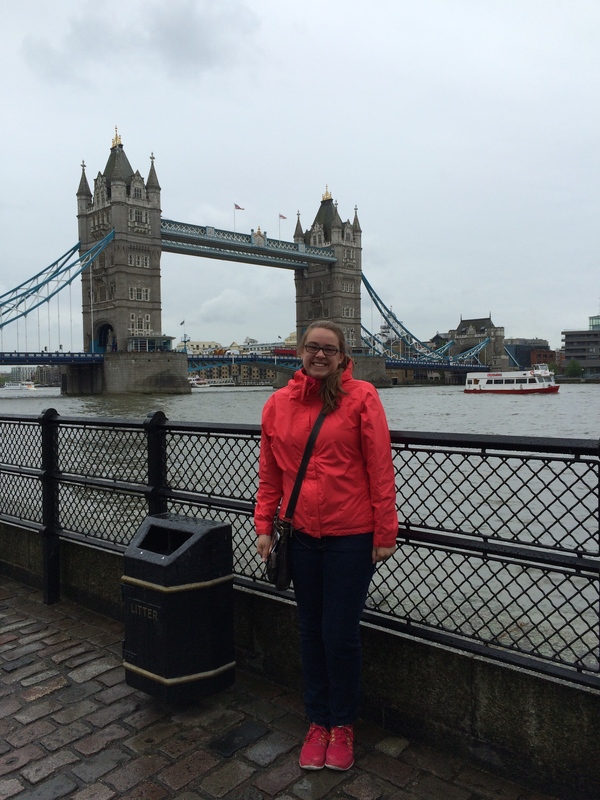 Before taking part in this study abroad experience, I had never left the United States. Of course, I had done some traveling within the United States, but these experiences had not been extremely immersive, but rather, typical family vacations in tourist areas. I grew up in a small town in Northwest Ohio, surrounded by cornfields. Although I had a wonderful childhood and I love the close-knit community that a small town offers, I was not exposed to a range of diversity and differing views growing up. This changed some in coming to Ohio State, but I was hoping to continue this expansion of my worldviews during my time abroad. A change in my worldview began from the moment I stepped off the plane. I was expecting to gain a better view of other cultures, but I was surprised that I also was gaining a better understanding of my own culture. Although I had never believed that my own culture was better than any other culture, American culture had been a central part of my life. In leaving the United States, I found that I was able to better view American culture from a distance, allowing me to see how it only makes up a small portion of the vast range of culture seen around the globe. At the same time, I was gaining a better understanding of British culture. This allowed me to see where there were connections to my own culture and where practices were totally different. I found that I made a self-transformation in the way I viewed my life. By viewing the experience with an open mind, I was able to question the way I live and put thought into how my experiences could be incorporated into my life after returning home. One event that facilitated this transformation occurred soon after arrival. Within the first weekend in London, some of my flatmates and I went to a nearby grocery store in order to buy food. We had some expectation that there would be some differences than what we were accustomed to, but there was still some shock when we went into the store. Of course, most of the brand names on the food items were different from what we had ever seen before and much of the food was packaged and sold in a different manner. Although there was some, there did not seem to be as much processed food that could just be microwaved. Even with the slight confusion, we were able to gather enough groceries to last us for the week. Upon getting back to our flat and as the week progressed, we found that certain food items, such as peanut butter and bread, had a slightly different taste than in the United States. It also appeared that the food was not full of as many preservatives, as the food did not seem to stay fresh for an extended period. This was a somewhat eye opening experience as I gained a better idea of how the food industry differs in the United States. Much of my self-transformation occurred through my interaction with people who we met during our stay who lived in London. These conversations often happened while at restaurants or while on guided tours. Politics seemed to be a reoccurring topic, and as there had been an election just days before our arrival, opinions were often very strong. The day after we arrived we were making our way to the sites around London. While walking on Downing Street toward Big Ben, we were surprised to see a group of protestors round the corner in front of us. Luckily, they were peaceful and as they passed, we were able to get an idea of some of the political opinions in the country. I found that many of the social and economic issues that are under debate in the United States are also under debate in Great Britain. Also, in the same way that some view government officials to be corrupt or have the view that there needs to be a major change in the government within the United States, this same opinion is held by many in Great Britain. Through many of our class activities, we were exposed to the history of Great Britain. This was fascinating to learn, as the history is so extensive and interconnected with that of other countries. My education in the United States has given me fairly in depth knowledge about the history of the United States, and of course, I know about our relationship with Great Britain and our separation from them during the Revolutionary War. In some ways, this makes the history of Great Britain our history too. Knowing this gave me a new perspective when learning about British history. One facet of this that I found particularly interesting was the monarchy. I think I was so intrigued by this because we do not have royalty in the United States. It was interesting to see how although people had some disapproval of the prime minister, nobody seemed to have anything bad to say about the queen. When looking at the history of the royal line, it was interesting to see how this perception has changed over time and how the actions of the person reigning at the time shaped history. Although royalty no longer has any real power, Queen Elizabeth II seemed to be a large part of the culture and seemed to generate a good deal of respect. 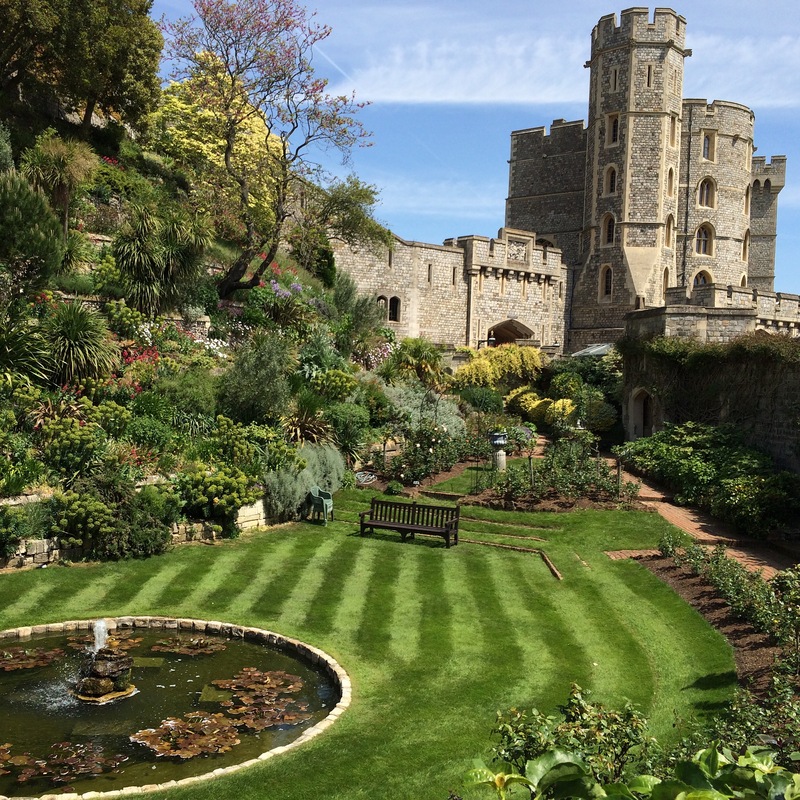 We were able to take part in this a little bit through our visits to see the Crown Jewels in both England and Scotland, which allowed us to gain another point of view into the lives of royalty. Overall, I found that living everyday life similar to someone from London, by shopping at the same grocery stores, commuting to class on the tube, and eating at local eateries allowed me to experience the culture. By doing this, I was able to make a transformation because I was having a somewhat authentic experience that I could compare to the life I know in the United States. Making this change was particularly important to me on a personal level, as I am always in search of ways of self-growth. I strive for experiences that will widen my worldview and help me gain new perspective on already formed opinions. The idea of making this change in my thought process is important to me, as I think it is important to learn from experiences that challenge what has always been routine. By studying abroad, I can move forward with the information that I have gained, which will allow me to question social situations and to think more critically. The experience has also helped me to exercise my ability to learn from others and to think with an open mind. When I look toward the future, the experience will be valuable as I work toward my future goals. As an evolution and ecology major, I spend most of my time on main campus taking science classes, so I was excited for this experience because it would give me a chance to learn about material that is not strictly required by my major. Having an experience, such as this, has given me a chance to exercise a different type of thought and analysis process, giving me a more well rounded experience. At the same time, learning about another culture is something that will be extremely helpful in my future career. I am currently very interested in research and environmental education. The communication of scientific information to the public is a very important part of the research process, but in order to do this effectively, the values of the audience must be understood. 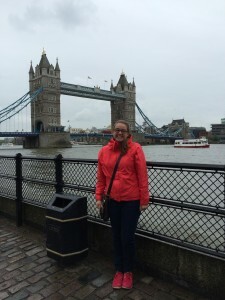 Through my time in London, I was able to gain a better understanding of British culture. This information will be extremely valuable as we continue down the path of increasing globalization. When combining the knowledge that I have gained with the growth to my thought process, my STEP experience abroad has added great value to my personal, academic, and professional goals.